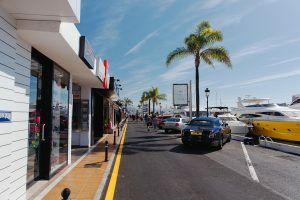 In real estate, the best locations tend to go first, so in the most desirable and well-established areas of a place like Marbella little land exists on which to build new homes. 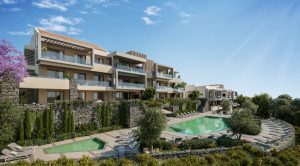 Such an area is considered to be mature, or consolidated, and as such offers a broad selection of resale villas and apartments, with much of the new construction happening further out, in less established residential zones. So you’ve decided to purchase a luxury villa in Nueva Andalucía; a very shrewd move considering you will be on the doorstep of renowned golf courses such as Los Naranjos, Las Brisas and Aloha, within easy reach of well-established international schools, and just five minutes’ drive from the luxury Puerto Banús leisure marina. If Nueva Andalucía is part of Puerto Banús/Marbella and its northwest extension, La Quinta, belongs to the mountains and valleys of Benahavis, then Real de la Quinta is a new residential paradise that brings the beauty, space and views of country living to a spot just ten minutes from downtown Marbella and the heart of Puerto Banús. At Nordica we have been bringing the very best of properties in Nueva Andalucía to our clients for many years. Now we have a really new and exciting opportunity for savvy investors – BUY, REFORM and SELL. The list of excellent reasons to live in Nueva Andalucía include the area’s natural beauty, it’s location amid a myriad of superb golf courses and access to other excellent outdoor activities. The development of luxury real estate in the region has ensured there is an extensive portfolio of property available, and the friendly vibrant centre of the community has many cafés, restaurants and shops.